Our vineyard is located in the small town of Ammerschwihr, in the Vosges foothills and the heart of the Alsace wine region. 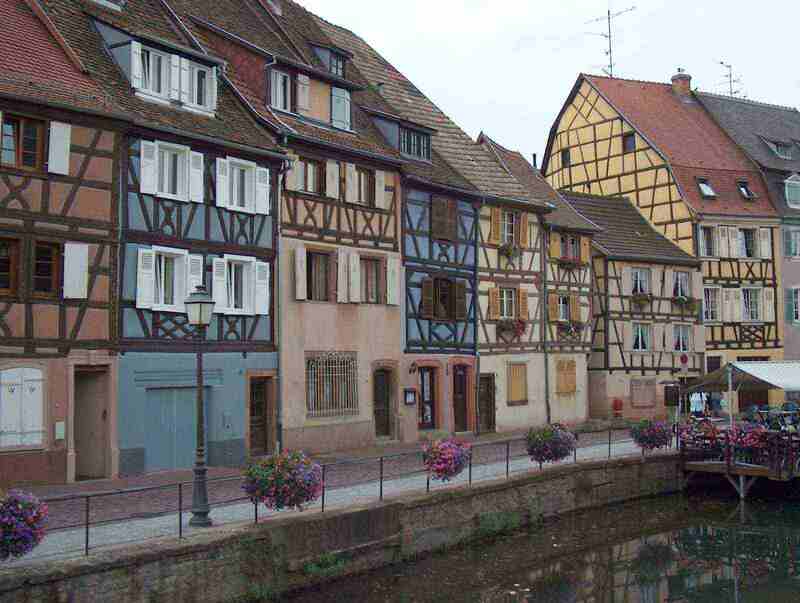 We are just 10 kilometers from the city of Colmar. Guided by a veritable passion for wine, Etienne Simonis imposes his own special style on his wines. He creates his wines like an artist. Pleasurable wines with so much character that they rarely leave the connoisseur indifferent. 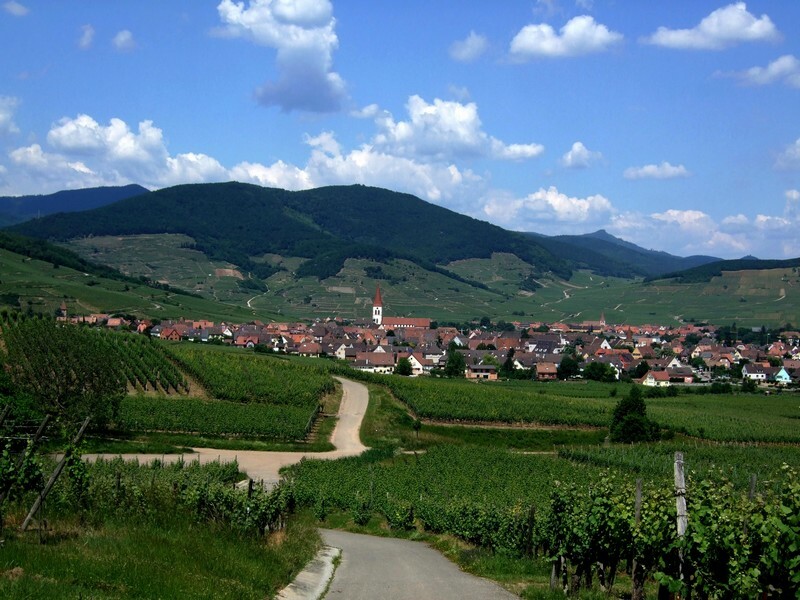 Famous for its Germanic architecture and its chimney-nesting storks, Alsace also boasts 15,000 hectares of vineyards. 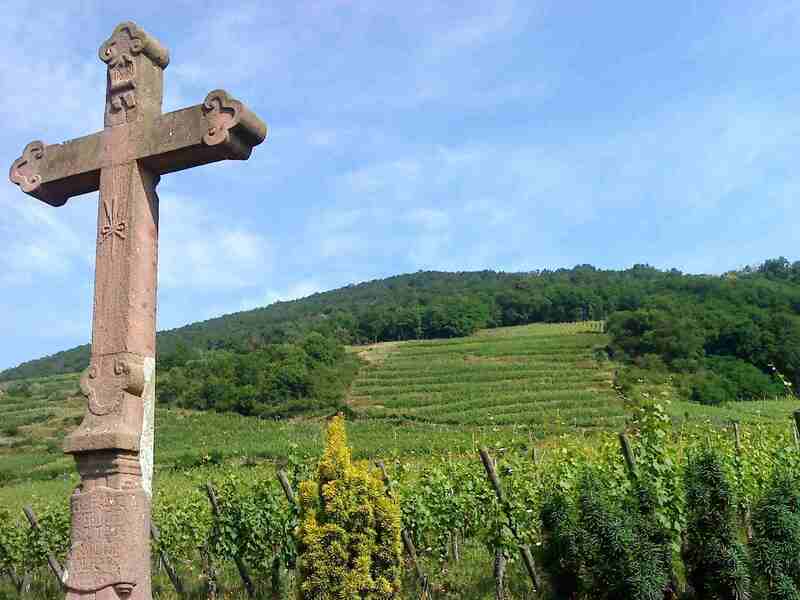 The vineyards, traversed by the 170 kilometer "Alsace Wine Route", are protected from precipitation by the Vosges highlands. The region around Colmar and the Kaysersberg valley enjoys a microclimate marked by low rainfall and lots of sunshine. Thanks to its naturally advantageous location, Ammerschwihr produces grapes of fine maturity. There are officially seven types of vine in Alsace: Riesling, Gewurztraminer, Sylvaner, Pinot Gris, Muscat, Pinot Noir, Pinot Blanc (and Auxerrois). Etienne Simonis also cultivates another one: the Chasselas which composes the large part of his Edelzwicker wine. Today our vineyards cover 7 hectares, mostly in Ammerschwihr, but partly in the communes of Bennwihr, Kaysersberg and Sigolsheim. We have vines on the both the Kaefferkopf and Marckrain grand cru sections. Most of our plots have now earned the Agriculture Biologique organic farming label, and we also apply biodynamic cultivation methods. We have three vine plots on two different soils: granitic and calcareous. This grand cru section, which obtained this appellation in 2007, covers more than 70 ha. Kaefferkopf has a very long-standing reputation and is one of the very finest Alsace wines. Its name was protected legally as early as 1932, even before the emergence of the AOC (Appellation d'Origine Contrôlée) system. These elegant wines are powerfully aromatic. Les vins qui y sont produits allient élégance et puissance aromatique. 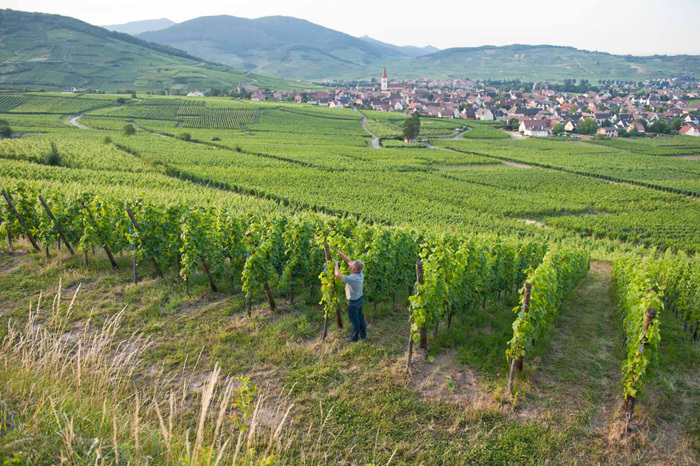 This grand cru section of more than 50 ha is found to the south of Bennwihr, along the Alsace Wine Route. It benefits from very favourable south-eastern exposure and Colmar's microclimate. In this section we have two plots of Gewurztraminer on marno-calcareous soil. 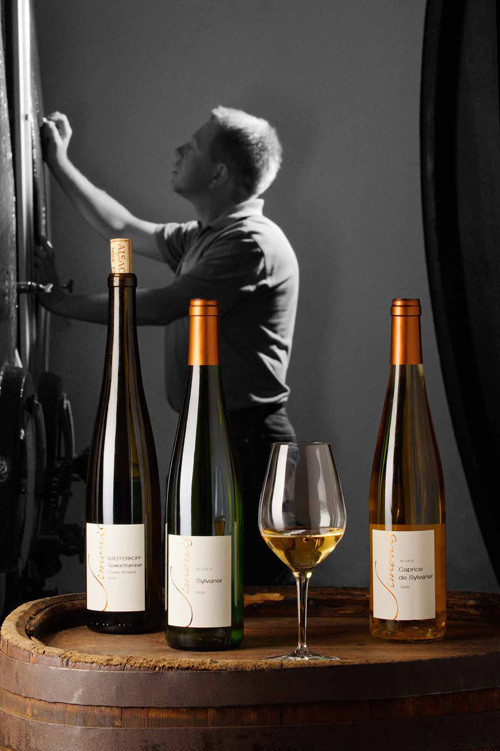 Marckrain Gewurztraminer is a wine of perfect harmony, full-bodied and powerful with richly-developed, complex aromas. This section of marno-calcareous soil is found in the commune of Sigolsheim, between the Mambourg and Furstentum grand crus, where it enjoys optimal sun exposure. These wines combine power and finesse. This section of friable granitic soil is in a place known as Katzenstegel. Its perfect south-eastern exposure is optimised by planting the vines on terraces up the hillside. These isolated plots are planted with Pinot Gris and Riesling which deliver superb flavour and pleasant minerality.